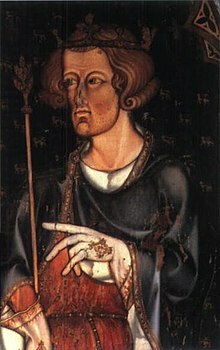 Edward I (17 Jun 1239–7 Julai 1307), adalah seorang Raja England yang dikenali kerana menakluk Wales dan berjaya mengekalkan Scotland sebagai sebahagian daripada England semasa hidupnya. Beliau menjadi raja pada 21 November 1272, sehingga kematiannya pada 1307. Ibunya adalah Ratu Eleanor dari Provence dan bapanya adala Raja Henry III dari England. Beliau juga menghalau orang Yahudi dari England. Brown, A.L. (1989). The Governance of Late Medieval England 1272–1461. London: Edward Arnold. ISBN 0804717303. Carpenter, David (2003). The Struggle for Mastery: Britain, 1066-1284. Oxford: Oxford University Press. ISBN 0195220005. Davies, R. R. (2000). The Age of Conquest: Wales, 1063-1415. Oxford: Oxford University Press. ISBN 0198208782. Harriss, G.L. (1975). King, Parliament and Public Finance in Medieval England to 1369. Oxford: Oxford University Press. ISBN 0198224354. Maddicott, John (1994). Simon de Montfort. Cambridge: Cambridge University Press. ISBN 0521374936. Morris, Marc (2008). A Great and Terrible King: Edward I and the Forging of Britain (edisi updated). London: Hutchinson. ISBN 9780091796846. Plucknett, T. F. T. (1949). Legislation of Edward I. Oxford: The Clarendon Press. Powicke, F. M. (1947). King Henry III and the Lord Edward: The Community of the Realm in the Thirteenth Century. Oxford: Clarendon Press. Powicke, F. M. (1962). The Thirteenth Century: 1216-1307 (edisi 2nd). Oxford: Clarendon Press. Prestwich, Michael (1972). War, Politics and Finance under Edward I. London: Faber and Faber. ISBN 0571090427. Prestwich, Michael (1997). Edward I (edisi updated). New Haven: Yale University Press. ISBN 0300072090. Prestwich, Michael (2007). Plantagenet England: 1225-1360 (edisi new). Oxford: Oxford University Press. ISBN 0198228449. Raban, Sandra (2000). England under Edward I and Edward II. Oxford: Blackwell. ISBN 0631203575. Jonathan, Riley-Smith (2005). The Crusades: A History. London: Continuum. ISBN 0826472699. Sadler, John (2008). The Second Barons' War: Simon de Motfort and the Battles of Lewes and Evesham. Barnsley: Pen & Sword Military. ISBN 1844158314. Stubbs, William (1880). The Constitutional History of England. ii. Oxford: Clarendon. Sutherland, Donald (1963). Quo Warranto Proceedings in the Reign of Edward I, 1278-1294. Oxford: Clarendon Press. Watson, Fiona J. (1998). Under the Hammer: Edward I and the Throne of Scotland, 1286-1307. East Linton: Tuckwell Press. ISBN 1862320314.